I have taken the cart down today for a temporary break. I was going to wait until late July to take a two-week break while my assistant is out of town (last week of July and first week of August), but I’ve strained a muscle or ligament or something in my right side (rib area) and need to give it a rest. If it feels better soon I will put the cart back up as soon as I can. If you need something for a gift or you are an international customer and want to time a package while you or a friend is visiting the USA, please email me and I will take care of your orders. It won’t be hard to take care of a few orders; I just need to limit them for a few weeks. Thanks for your understanding (and I apologize for the lack of notice — this was unexpected)! Julie of The Redolent Mermaid blog just posted a review of the new SSS Amber Incense. Her blog, which has a pretty new format, features reviews with gorgeous product photography and fun DIY project tutorials. Just editing this to add a link to another online article on this same study about our olfactory fingerprint. This is fascinating, “Researchers then repeated that sniff test on another 130 subjects. But this time they did a blood test, too, to figure out each person’s HLA type—an immune factor that determines whether you’ll reject someone’s organ, for example. They found that people who perceived smells similarly also had similar HLA types.” They suggest that taking sniff tests may become a first line medical screening test someday. Just adding a link to one more article about the olfactory fingerprint. I’ve let too much time go by since my last post, but I’ve been enjoying these early summer days and have been trying to accomplish a lot on both the personal and business fronts. I have updated the website to move Rose Volupte from the Archive back into the Mixed Media Collection. So many people have written to me with concerns about the long-term status of Volupte that I think it’s best to move it back into the regular lineup. I have moved To Dream into the Archive, at least for now. I am out of stock of To Dream and will wait a bit before re-batching (I do have all the ingredients though — no problems there). 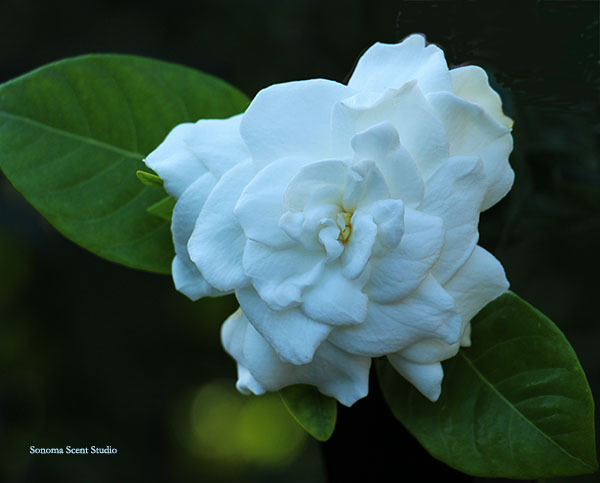 My assistant has nurtured a prolific gardenia plant and has kindly shared some lovely scented blossoms with me, so I was inspired to return to the gardenia project I had begun several years ago. I had completed dozens of mods but wasn’t satisfied with any of them. I started fresh a few weeks ago (keeping all my previous experiments in mind), and I have something I really love. I need to increase the concentration and keep testing, but I think this is coming together very quickly. It’s nice when previous trials pay off later! The lettuce and tomatoes are doing great in my veggie pot garden. I’m enjoying ripe Sweet 100 cherry tomatoes, but it’ll be a while yet before the full size Early Girls are ripe. I’ve had lots of beautiful lettuce because spring was pleasant but cool, so it grew like crazy. 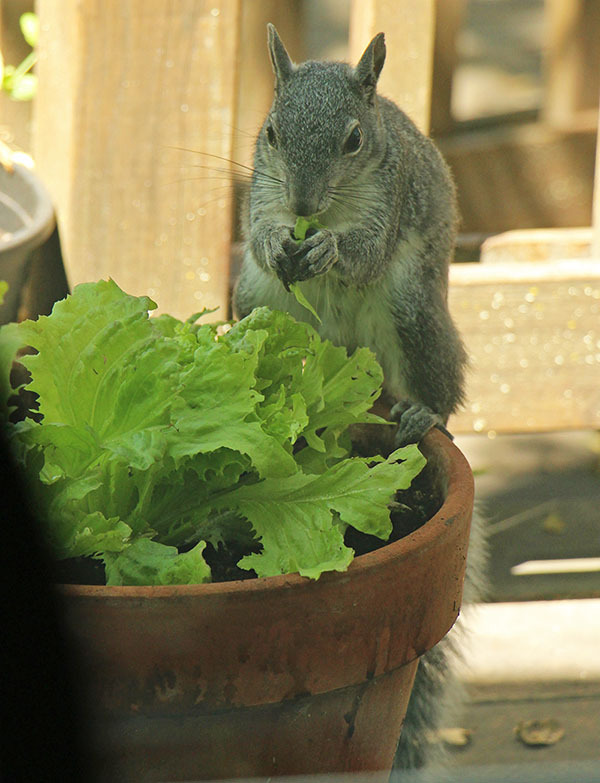 The picture at right shows a squirrel that decided to feast on one lettuce plant (they don’t usually eat a whole plant — they usually just like acorns). 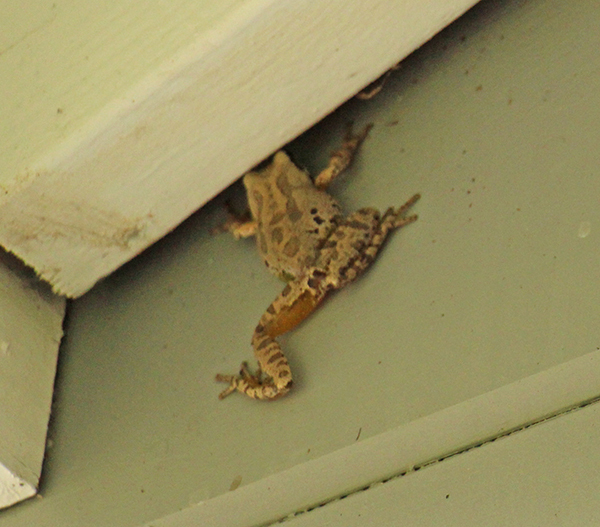 Luckily I had enough to share and he hasn’t come back for more. That’s the end of the critter pictures for now. 🙂 We have a deer with two young twin babies living here this summer, but we’ve not been able to get any pictures yet. We’ve only spotted them three times so far, never when a camera was handy.